Dear Alabama State, You Made My Dreams Come True! I am a proud Alabama State University graduate. A Hornet forever. However, the road to get there wasn’t the easiest, but it was surely worth it. Furthermore, how you took a young 17-year-old girl, who wore folded dollar bills in her hair, to a 21-year-old woman wearing suits, carrying a briefcase, and speaking to crowds, I’ll never know. But I’m grateful! Growing up, I had no exposure to college and I didn’t personally know anyone who had attended one. Honestly, when I was in grade school, my mom never even asked me if I wanted to go to college. My mother and grandmother raised me, but neither one graduated from high school nor college. My grandmother tried to force-feed me the military life. The funny thing is, I really considered it. I went down to the Marine’s office and almost signed those papers. My mother wanted me to go to beauty school because I was good with hair. She knew she couldn’t afford to pay for college, so it was never a topic of discussion. I learned that if I wanted to attend college, I would have to do it on my own. Outside of Hillman College (made famous by The Cosby Show & A Different World), I had no idea what college to even apply too. After meeting with my high school counselor, he quickly advised me, based on my SAT scores, what choices I had in attending a college. I applied to Jackson State University & Alabama State University. Jackson State accepted me on the condition I get a referral letter from an alumni. However, I didn’t know any college graduates, let alone a JSU Alumni. Then it came, my acceptance letter from Alabama State University. I remember it like it was yesterday. “Mom! Mom! I got accepted into Alabama State University!” “Wait, what? Hold on, girl.” My mom put her friend on hold and asked me to repeat what I had just said. “Mom, I got into college!” “Oh. Girllllll! Ok.” She gets back on the phone, “Girl, Bernetta has gotten into college.” And she went back to cleaning. I actually don’t remember us having another conversation about it after that. Excited, but also nervous, I then spent the summer getting myself ready to attend ASU. My mom and her best friend drove me down to Montgomery, AL from Evanston, IL. Talk about a culture shock! I didn’t know how my life would forever change. 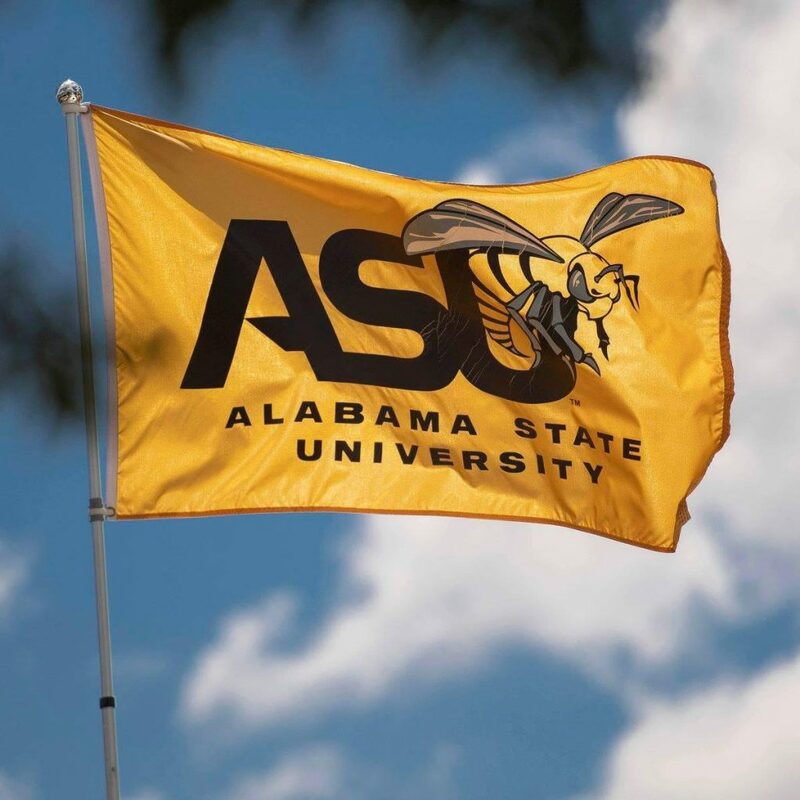 Why an HBCU, Why Alabama State? Honestly, was there any other option? Although I loved The Cosby Show, A Different World made the most impact. It gave me a glimpse into Black college life. They showed a school experience I never knew existed, but knew I wanted to be a part of. I saw black youth working hard for a better future, fighting for what they believed in, making memories, falling in love, and all while having the time their lives. Everything I wanted. What did I learn at Alabama State University? 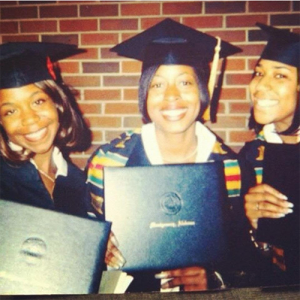 The people I met, the things I learned and experienced at my HBCU has always stayed with me. Friends I met during orientation week are still my best friends today. We’ve shared tears, the birth of our children, and attended weddings. We’ve held hands at funerals, celebrated additional graduations, and so much more. We became family and have stayed that way for 20 years now! I have a degree in Business, concentration Marketing. If you know anything about COBA (College of Business Administration), you’d know you couldn’t do anything halfway. Dean Vaughn and Ms. Likely put the fear of God in me. They wouldn’t accept anything less than the best from me. It was tough, but I became a better person because of them. I developed a sense of pride that I never had before. This is going to sound crazy, but I didn’t know that we as a people were so different until I went to college. Yes, we were an all-black college, but I quickly learned that as a people, we have commonalities but we are as different as can be. I loved that. I graduated from Alabama State University 20 years ago this May. I can’t believe I’m even typing this. Twenty years! My college memories are still some of the best years of my life! I’m grateful I made it through it with so many stories to tell. Alabama State, I want to thank you for allowing me to come in one-way and leave completely different. Better. Smarter. Stronger. I’m benefiting today from things I did during my 5 years in Montgomery, Alabama 20 years ago!
. For the past 10 years, Home Depot has invested more than $2 million dollars to update, upgrade, and uplift HBCU campuses. For their 10 year anniversary, they are committed to awarding the highest amount in the program’s history, $500,000 total in campus improvement grants to 10 winning schools. That’s ten schools each receiving $50,000. For the 2018-2019 Program, nine grants will be awarded based on consumer voting. The tenth grant, the “Campaign of the Year Award”, will be awarded to the school whose campaign proves to be most original, innovative, and particularly effective. to win one of these grants and learn more about this program.